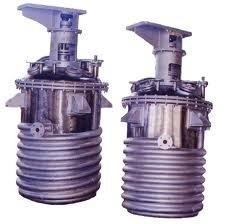 We are Bending s.s. Limpet coil continous Without Joint 10 to 15 turns as per your require size. I am sending Photographs in the attach file. Factory & Office R.S.ENGINEERING WORKS Plot.No.40/3, Patel cement compound- opp.Nilsan compound, G.I.D.C. We are Bending s.s. Limpet coil continous Without Joint 10 to 15 turns as per your require size. I am sending Photographs in the attach file. Factory & Office R.S.ENGINEERING WORKS Plot.No.40/3,Patel cement compound- opp.Nilsan compound,G.I.D.C.